Attached is a set of review problems getting students ready for the Chapter 3 Math test in Go Math! Grade 4. 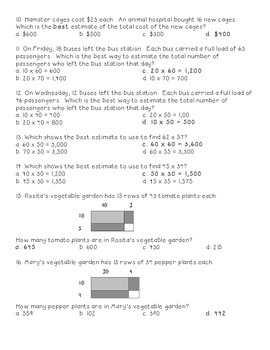 The questions/word problems are similar to the ones on the test. There are 2 of each kind of problem. Can be used as a review, for homework, as a reteach/retest.